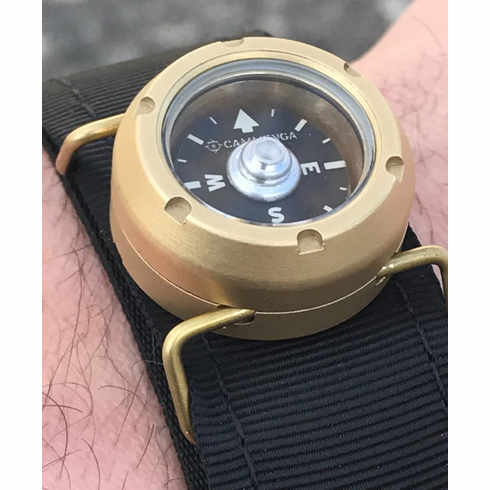 This machined brass wrist compass is proudly made in the USA, by Cammenga -- the same company that makes the compasses for the US Military. The non-liquid-filled compass uses a free-floating dial, enabling its use in a variety of extreme climates. This brass compass fits watch bands up to 22mm in width, or can be used on the included Velcro strap.